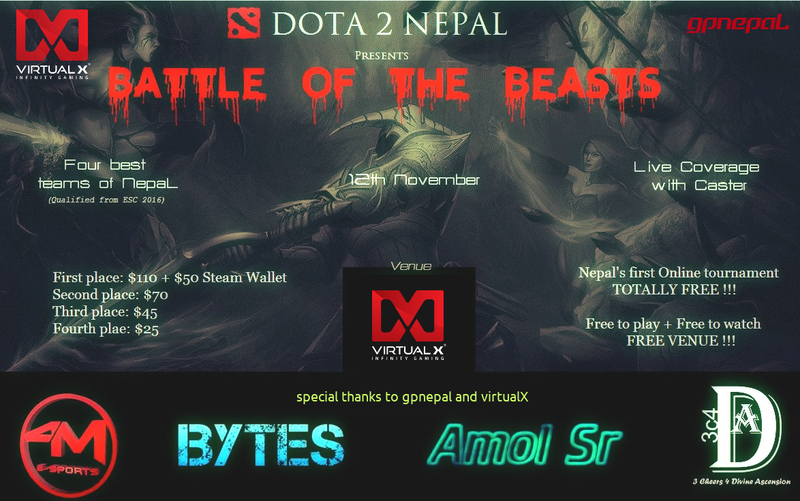 Battle of the Beast is the first ever Nepal Online tournament organized by Dota2Nepal with total prize pool of $300. 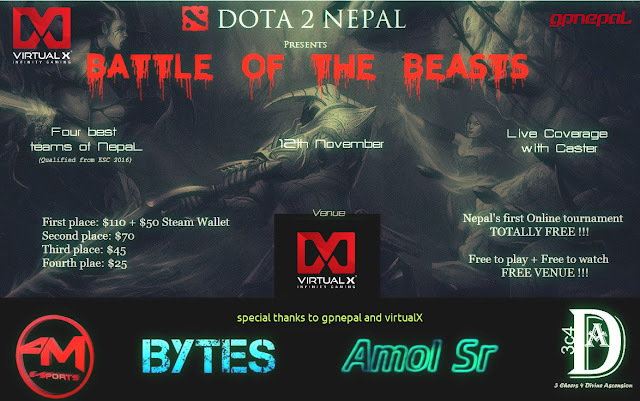 This is a premium tournament where Top 4 team from Nepal are invited to play.The invited teams are 3c4Da, 4merical E-sports, Amol Sr and Bytes. All these teams placed top 4 in Nepal biggest E-sports Championship 2016(fifth edition) and showed some amazing game plays. The event is going to take place in November 12 at imadol, Virtual X.